This custom tank was built to house large fish. The tank body was created using concrete block, sealed with Competition Blue Pond Shield. 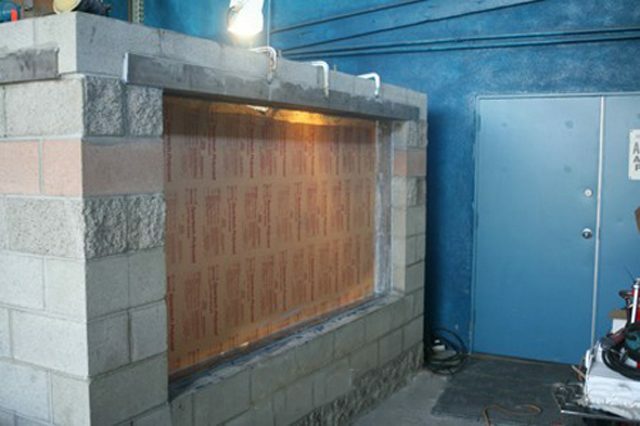 Afterwards the acrylic windows were put in place with a stainless steel frame using a combination of Pond Shield epoxy and a special Dow Corning silicone. The same method was used for all of the filtration pipes coming through the walls.